Houston Star @imedf Returns with New Project, "Original Playa"
After releasing three projects last year and with 2017 coming close to an end, Houston's own EDF is back under the direction of Platinum Hands to present Original Playa. Original Playa is a project created by the duo to showcase the vintage sound that embodies classic Houston with a modern approach. 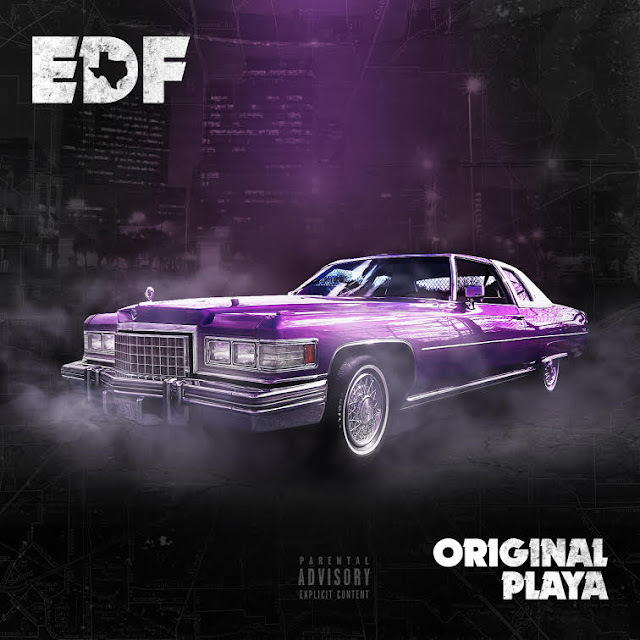 Platinum Hands polished production, along side EDF's flexible delivery makes Original Playa something worth keeping on your playlist. Original Playa features guest appearances from Slim Thug, Mike Red, Yungstar, and Cripn Jiggy (Pittsburgh, PA). Original Playa is available for download and streaming on Apple Music, iTunes, Spotify, Tidal, Google Play, SoundCloud, YouTube, BandCamp, and many other providers globally.